Lab Supply is proud to offer a number of great PPE and safety supplies from Life Science Products. We are proud to provide a number of great products for animal research facilities. Safety should always be a number one concern in laboratories and we can help ensure the safety of your researchers with our products. 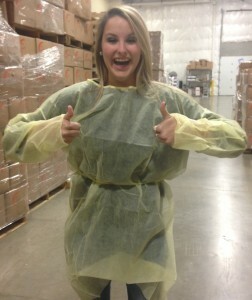 These great isolation gowns are just one of many lab safety products we offer. These gowns are disposable, autoclavable, and fluid resistance. If you would like to view our selection of isolation gowns, then please click here to view the products in our store. Here at Lab Supply, we are committed to making sure you find exactly what you are looking for. If you have any questions about the isolation gowns or other PPE products we offer, then please click here to visit our contact us page. We will be more than happy to answer any questions you may have.